Launching the very first interactive construction map is a massive achievement for both the industry and the wider Public. Constructionmap.info provides an easily usable resource to find out what’s going on and where right across the UK and Irish construction industries. Not only does it provide a single point of reference for the entire population, it gives those committed to improving the image and reputation of the construction industry an opportunity to showcase their projects and be able to demonstrate what they are doing as considerate constructors. At this stage, resources available within the Map provides a great starting point, which, over time will be expanded. 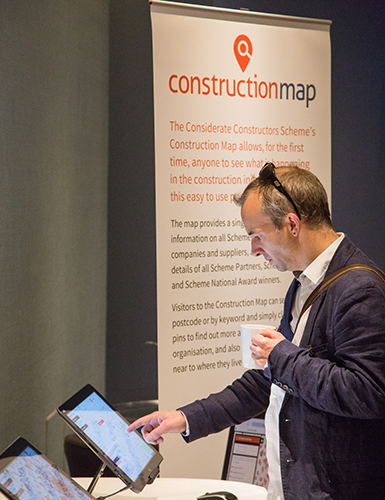 The Scheme looks forward to continuing to spearhead the development of constructionmap.info to grow its functionality and reach in becoming a central resource for everyone interested in construction activity in the UK and Ireland, and beyond.